You can choose to stay positive and in the moment, or you can let yourself be full of doubt and negativity. It takes as much energy to be frustrated as it does to be resourceful, and it’s hard to be both at the same time. We tend to think of leadership as flashing swords, generals on horseback, and Winston Churchill. For all the achievement billed as leadership, I believe real leadership goes deeper. I’ve learned that true leadership is to win from the middle.Power lies in the middle of the organization, at its core, in its heart. We hear about strengthening the core, as a physical fitness or martial arts term. We strengthen our physical core through nutrition and exercise, to be better at delivering or taking a punch. And life is a punch; we all know it. To strengthen our core, is to first discover the core of ourselves. To get to the core of leadership, we need to peel down through the layers of our lives. At the core of an apple are the seeds. At the core of our bodies is the heart. The seed is the essence of the apple, and the heart is the essence of our humanity, and in both lie the promise of new growth.Our core captures and radiates our life, and to be better requires strength. The center of who we are. Humble and sacrificed is the more true measure of teaching ourselves and others to win from the middle. 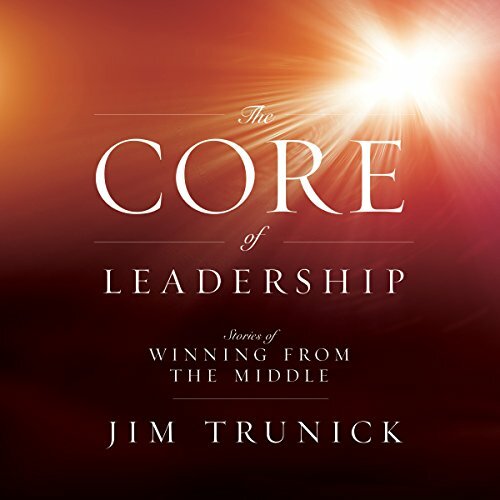 This book redefined what matters in Leadership and how to achieve the results. Jim's weaving of the implications of private life and it's impact on the exterior brings a new strength to a familiar perspective. the illustration are apt and relevant.